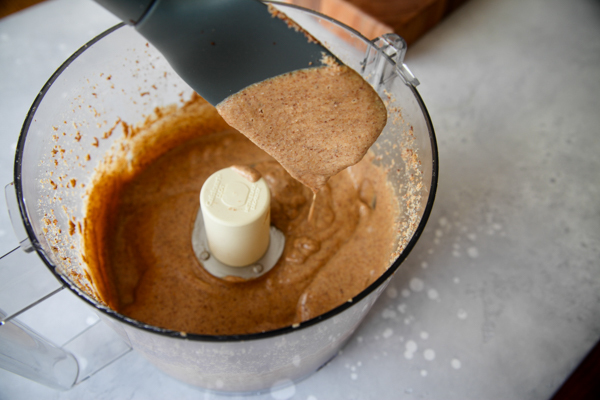 One of my all-time favorite nut butters is Naturally Nutty’s Cinnamon Vanilla Almond Butter. It can be hard to find though, so I set out to make my own. I can’t say this is an exact copycat recipe because really nothing compares to the frosting-like taste of Naturally Nutty. I am sure they have spent years perfecting that! 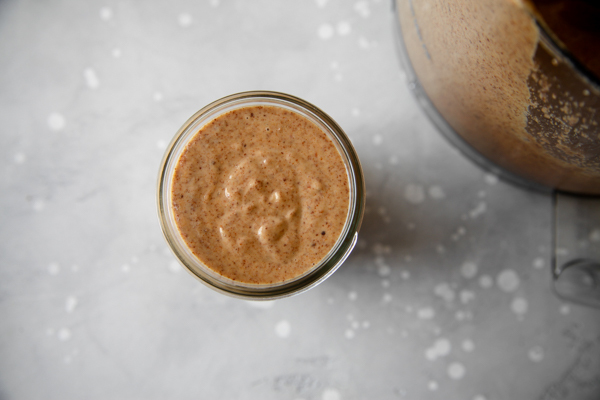 But this version uses the same flavor profile to create a truly yummy homemade almond butter. 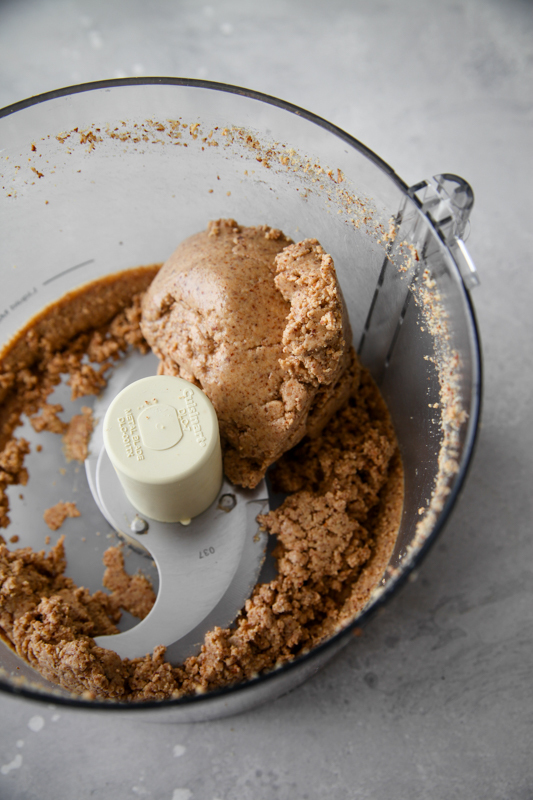 All you need is a good food processor. I am not quite sure which one I have, but I believe it is the Cuisinart 14-cup version. She gets the job done! 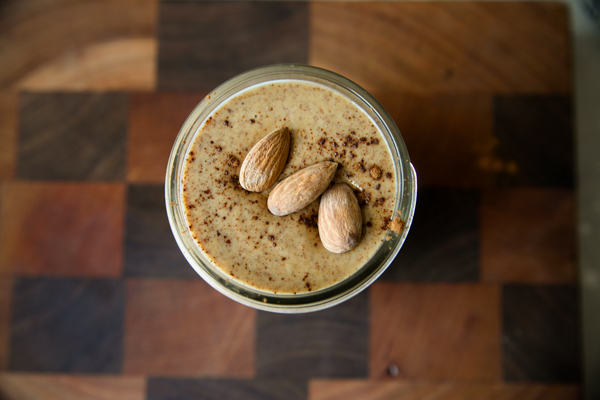 Start with 3 cups of raw almonds. I like to toast them to bring out all. the. flavor in the nut butter. To do this, arrange them on a baking sheet and toss with maple syrup, vanilla, cinnamon, and kosher salt. Can we pause and talk about Mexican vanilla? If regular vanilla extract is like vanilla bean, then this is like marshmallow vanilla. It’s a bit different, but I love it! Feel free to use any kind of vanilla extract you have. And if you are fancy and have vanilla beans or vanilla paste on hand, I would absolutely add some of those to your almond butter at the end! 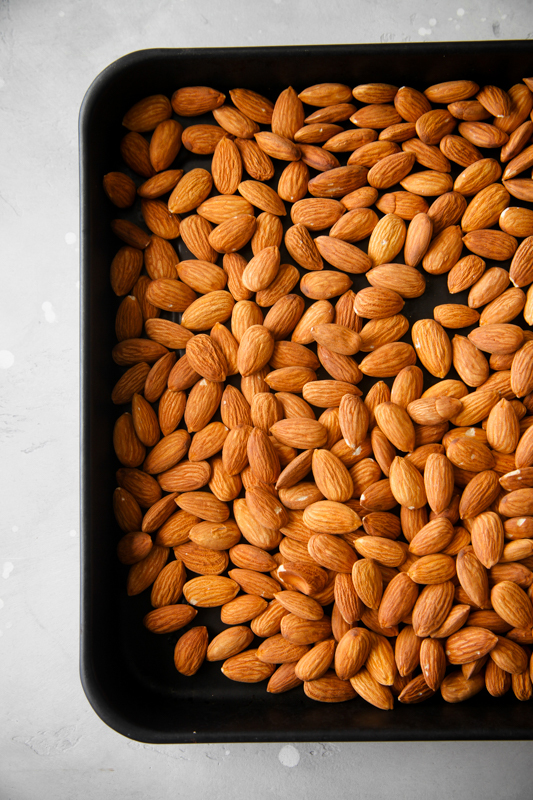 Bake your almonds at 350 degrees for about 15-20 minutes, stirring a few times throughout. Watch them so they don’t burn but get that nice roasted crunch. Then we blend! I added about 1.5 tbsp of almond oil to help the almonds along. You can use any neutral oil you’d like. 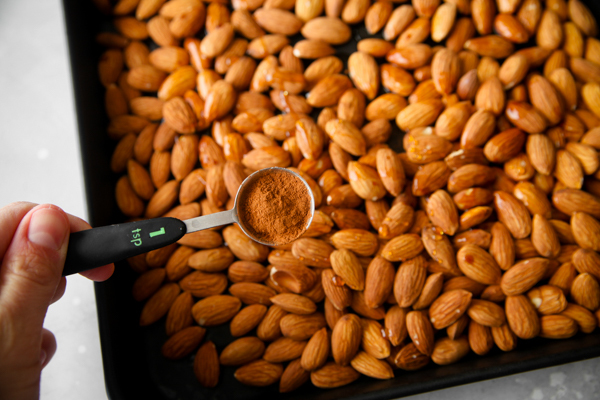 The whole process takes anywhere from 5-10 minutes, depending on your oil and how roasted the almonds are. After 1-2 minutes you’ll see almond meal. Scrape down the sides to bring it all back to the blade. After a few more minutes you’ll see a dough ball form. And then she starts to butterize! Keep going until you achieve a beautiful drippy texture. I think mine took about 8 minutes total. I think I had almond butter for lunch this day! Mazen LOVED it and ate about 4 (clean) spoonfuls. 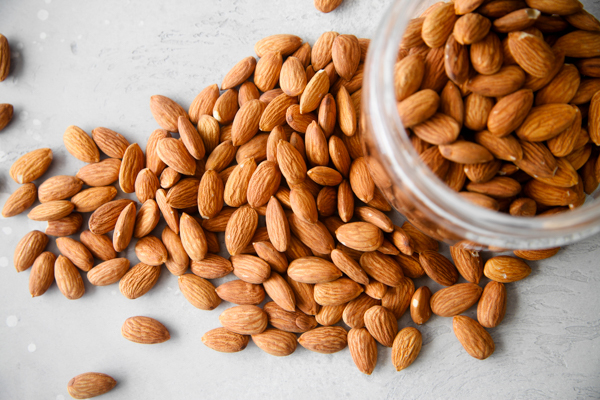 Toss almonds in maple, vanilla, cinnamon, and salt. 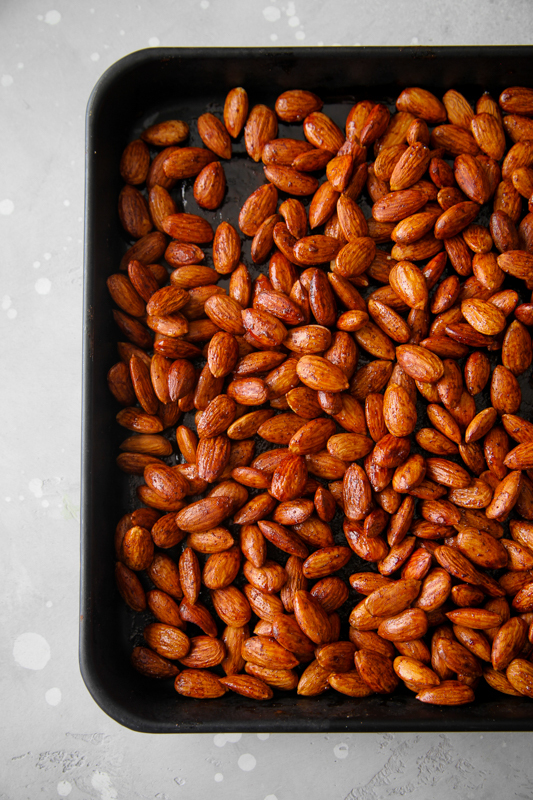 Bake almonds for 15-20 minutes, until fragrant and crunchy. 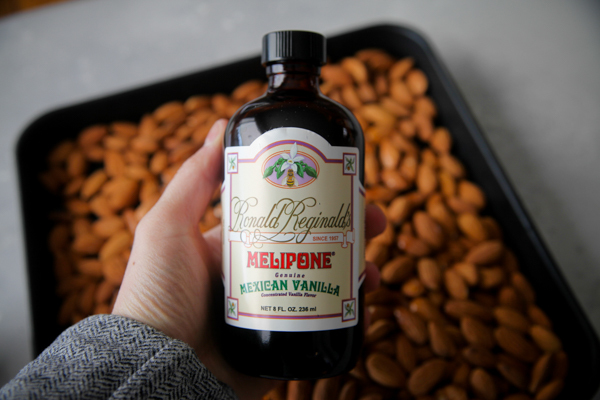 Add almonds to a large food processor along with 1.5 tbsp of almond oil. 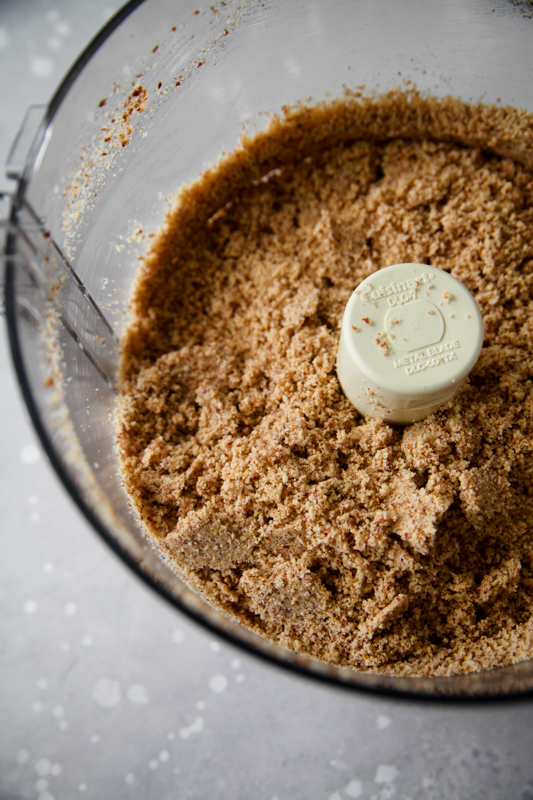 Blend for a total of 8-10 minutes, scraping down the sides when necessary. 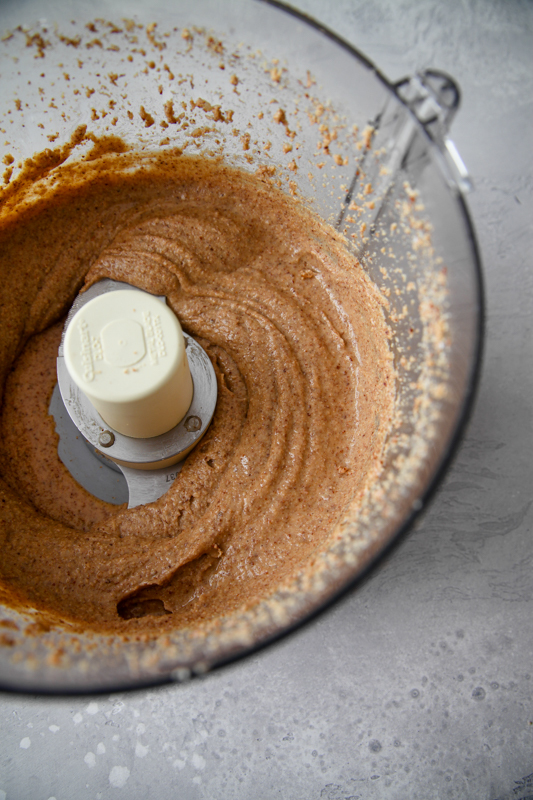 I love making my own almond butter. I’ve never added cinnamon to it before but it’s a great idea! 🙂 I just hate that the nuts are so much more expensive than buying premade jars of butter instore, ugh! This looks soooo good. 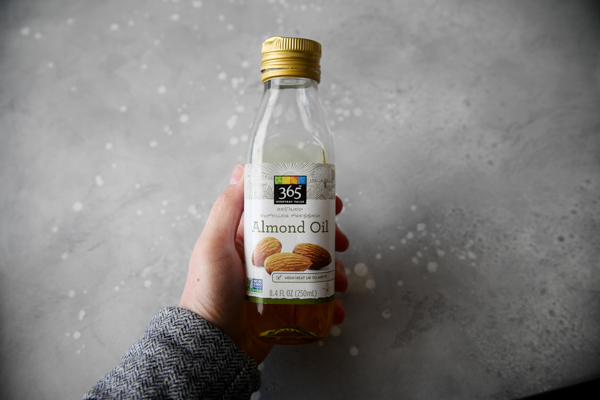 I love the addition of almond oil! Would be so good on cinnamon bread!! What is a neutral oil? Is olive oil a neutral oil? Neutral tasting. Olive oil can have a strong olive-y, fruity, taste, so an oil like canola or almond won’t alter the taste as much. But you certainly can use olive oil. Wow! 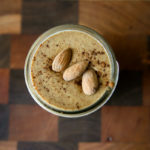 If almonds weren’t so darn expensive where I live I would actually try this recipe. It looks amazing! We were in Mexico last month and I picked up a large bottle of real vanilla – what a difference!!!! Good to know how you incorporated the vanilla. I had a total fail on homemade maple vanilla peanut butter because I added vanilla extract to the food processor, and the water content was too much — my beautiful nut butter turned pasty, and there was no way to recover. Don’t repeat my mistake! For the future, I’ll use vanilla paste or vanilla beans. Oh my god. Hit me UP with this recipe! Oh this looks SO delicious! We are a nut-free household (our 3 year old is anaphylactic to peanuts and almonds) and I miss peanuts, nuts, and nut butters so much. Soybean or sunbutter just isn’t the same to me. Love that you roasted the almonds with flavors before making the butter! I love handmade butter, it’s so fresh and tasty. However, what if I used Salty cooked Almonds? I just put into the food processor? That should work and would save you some steps! YUM! I don’t have a food processor unfortunately but this looks so easy! Can you recommend anything to replace the oil with? Trying to be mostly oil free when possible. Thanks!